Like artwork and watching television? Why not do both? If you haven’t seen the Samsung Frame TV it’s worth an audition. This fantastic 4K TV doubles as digital artwork when not in use! This TV makes use of a proximity sensor so it stays off when no one is in the room and then turns on with artwork when someone enters the room. You have the option to load 100s of pieces of art from the TV itself or from Samsung. Want custom artwork? You have the ability to load your own! These amazing pieces of art are available in sizes of 43”, 55” and 65” diagonally. You can also customize the frame on these flat screen televisions. The Frame TV initially comes with a black border but it is easily customizable with a separate white or wood-shaded frame. Sounds interesting? Call the San Diego Frame TV experts and let us show you what all the excitement is about. San Diego Samsung Frame TV installation experts Aire Theater Designs proudly serves all of San Diego County, CA including Del Cerro, Allied Gardens, Talmadge, Kensington, Hillcrest, Mission Valley, Fashion Valley, La Mesa, El Cajon, Blossom Valley, Lake Murray, Friars, North Park, Balboa Park, Clairemont, Kearny Mesa, Mission Bay, Mission Beach, Pacific Beach, Ocean Beach, Imperial Beach, Pt Loma and Downtown San Diego. We also gladly serve those in North San Diego County which includes Carlsbad, San Marcos, Vista, Elfin Forest, Oceanside, Escondido, Encinitas, Cardiff by the Sea, Solana Beach, Alta Del Mar, Del Mar, Olivenhain, Rancho Santa Fe, 4S Ranch, Santaluz, La Jolla, Poway, and Rancho Bernardo. Blossom Valley, Alpine, La Mesa and El Cajon...we;re here too. Wow...just Wow. We will be brief and to the point. 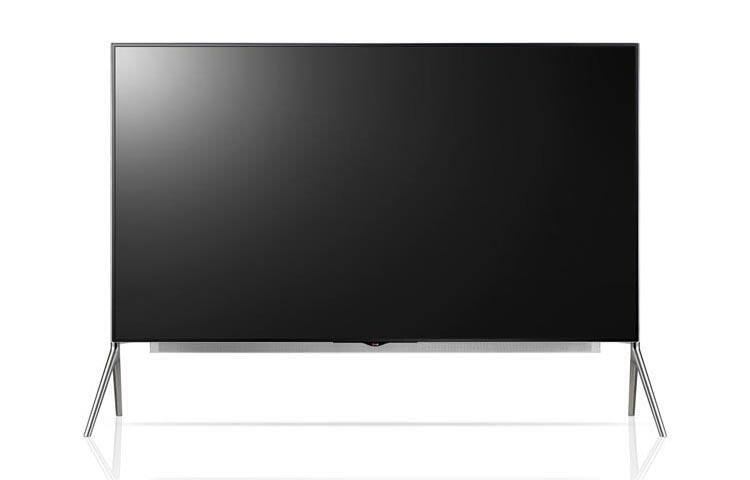 Until they are gone, you can get Sony's XBR55X850B 4K TV for 50% off! We think of this 55" TV as a Best Buy in category. We can get into all the mumbo-jumbo as far as features (TriLuminos, 4K Ultra HD, X Reality Pro, etc.) but the bottom line is that in our opinion, this TV gives you better colors, better motion processing and a better picture than anything at the price point. At 50% off it's a no-brainer. See below for details. This special is only available until the TVs are out of stock. When they're gone, they're gone. Want amazing 4K technology and to save some money? Give us a call and let San Diego's 4K TV experts help with a fantastic TV at a great price. Our project manager Robyn like to muse from time to time about today's technology. The below is his take on the new Xbox One. The Cliffs Notes version is that an Xbox One can be a great heart to a home theater...you just want to add GOOD stuff to optimize your experience. "I just got my new Xbox One and man is it sweet! I am going to build my new system around it. I will start off simple but with the intent of building an awesome theater. It’s easier to build your system when you start off with the right products. The Xbox One is designed to work with really good speakers and Ultra High Definition 4K. The audio video receiver is the key to a great system. I will lay out a good, better, best for anyone interested. As for me I strongly recommend Yamaha Aventage series receivers. I have the Yamaha RXA-2020 which makes my room sound amazing. It allows for the best audio and video I could afford. If I could spend a little more, I would go with Yamaha’s new separates. Their 11.2 channel amp and preamp, the MX-A500 and CX-A5000, take all the best Yamaha has and make it bigger. To stay within a budget for the TV, Samsung's 60” plasma would be very good because it has good response with motion and great blacks and whites. They are also unbelievably priced for an awesome 60” TV. The Xbox One has a built in 4K bluray and will come in very handy when 4K movies start to be produced. I can’t wait to play a 4K game. However, I love projectors because of the movie theater feel so I will be using the JVC DLA-RS4910U 4K Precision projector. If I couldn’t make a projector work and I had to look for a Ultra High Definition TV, it is tough to pass up Samsung’s new 65” UHD TV the UN65F9000 because it just dropped in price $2500.00 and has the most amazing picture you can imagine. And now for the fun stuff...the speakers. My favorite speaker line right now is Monitor Audio and I am very fond of their Silver series. They can handle everything I throw at them and sound great while doing it. Since I am planning on having a full set of speakers, the Silver line helps me save a few bucks as compared to the Gold or Platinum series in their line (the Silver are 1/2 to 1/6th the price!). It is absolutely possible to buy just the two tower speakers or bookshelf speakers for stereo and a good matching subwoofer at first and then slowly buy the rest of the surround speakers when you have more money. When you opt to get into full-blown surround sound, I always suggest you utilize Yamaha's presence speaker concept. This idea really fills up the room with sound. I use the front presence speakers to really bring the sound up to the level of the projector screen. I have two towers for a full sound range, the center is for character speech, the front and back presence is to open the sound stage, the surrounds are for when someone walks behind you and the subwoofers (2) handle all bass. Want to maximize your new Xbox One? Try some of Robyn's suggestions and let San Diego's leading integrator of audio/video solutions get your Xbox firing on all 12 cylinders. San Diego Home Theater Installers Aire Theater Designs proudly serves all of San Diego County which includes Del Cerro, Allied Gardens, Talmadge, Kensington, Hillcrest, Mission Valley, Fashion Valley, El Cajon, Blossom Valley, Alpine, La Mesa, Lake Murray, Friars, North Park, Balboa Park, Clairemont, Kearny Mesa, Mission Bay, Mission Beach, Pacific Beach, Ocean Beach, Imperial Beach, Pt Loma and Downtown San Diego. We also gladly serve those in North San Diego County which includes Carlsbad, San Marcos, Vista, Elfin Forest, Oceanside, Escondido, Encinitas, Cardiff by the Sea, Solana Beach, Del Mar, Rancho Santa Fe, 4S Ranch, Santaluz, La Jolla, Poway, and Rancho Bernardo. If you are a client of ours you know that we sell good stuff. If you aren't, think of us as your local Mercedes/BMW dealer for audio/video. The products we offer will give you an amazing audio/video experience in the comfort of your own home. To add to this "good stuff", we have added Oppo's heralded Blu-Ray players to our line-up. Why Oppo? For us, it really came down to performance and value. For someone looking for a higher-end Blu-Ray player, we feel there is no equal at the price point. So do some other manufacturers. So much so that one other high-end audio company (that will remain nameless for legal reasons) "allegedly" took Oppo's player, stuffed it into one of their Blu-Ray players and then sold it for 7X the price! Google "oppo blu-ray scandal" for more details. This player offers audiophile-grade sound quality, isolated board placement and high-end components throughout. More details are below in the link. Enjoy breathtaking video quality, courtesy of Darbee processing. More details are below in the link. This selection provides you with audio and video performance that is a cut above the rest of the market at a paltable price. More details are below in the link. Everyone in life wants good stuff. If you are a believer in the adage, "Buy best...Cry once", contact an ATD representative today with questions and let San Diego's leading dealer of Oppo Blu-Ray players show you how Oppo can blow you away with fantastic audio/video performance. San Diego, 4K TVs are here! Do you like video and TV? If you are a nerd like us and love today's televisions, you may know that 4K TV has been a hot topic of conversation for some time now. This new format allows for up to 4Xthe resolution of high-definition. Fortunately for all of us, these sets are now HERE! 1) Micro-dimming Ultimate: Samsung's most advanced backlighting technology ever. Offers up to 20X the lighting elements of standard TVs which gives you better blacks/whites and more consistent illumination across the screen. 2) One Connect box: Samsung feature that divides the TVs inputs/outputs into a separate box. The advantage of this is improved flexibility. If 4K technologies come out that incorporate new features or functionality, having a separate input/output box allows you to JUST replace the box instead of buying a new TV. 3) Super Resolution Engine: This feature allows for the best video processing when viewing all sources (ex: 4K, DVD, cable, etc.). The benefit to you is that your image will be free from distortion and "artifacts" (blurring and trailing around edges), giving you the best picture possible. These are available in a 55" (Samsung UN55F9000), 65" (Samsung UN65F9000) and a whopping 84" model (JVC RS-840UD). Interested? Come by to take a look or reserve yours today at Aire Theater Designs, San Diego's 4K TV experts. San Diego Home Theater Installers Aire Theater Designs proudly serves all of San Diego County especially the communities and cities of Central San Diego County which includes Del Cerro, Allied Gardens, Talmadge, Kensington, Hillcrest, Mission Valley, Fashion Valley, La Mesa, Lake Murray, Friars, North Park, Balboa Park, Clairemont, Kearny Mesa, Mission Bay, Mission Beach, Pacific Beach, Ocean Beach, Imperial Beach, Pt Loma and Downtown San Diego. We also gladly serve those in North San Diego County which includes Carlsbad, San Marcos, Vista, Elfin Forest, Oceanside, Escondido, Encinitas, Cardiff by the Sea, Solana Beach, Del Mar, Rancho Santa Fe, 4S Ranch, Santaluz, La Jolla, Poway, and Rancho Bernardo. Flat screen TV installation in San Diego...what to know. Are you looking for a flat screen installation, San Diego? Perfect, you've come to the right place. However, being that every company under the sun performs flat screen installs, why should you choose Aire Theater Designs for this? If they don't have a license AND workers' compensation, call the next guy on the list. 2) Experience: We don't have a guy on our team with less than 5 years of experience. With all of the HDMI 1.4, AnyNet, DTS-HD, SmartTV, optical out, enable Device manager, RF interference, cable reset, standing wave, 60 cycle hum and other nonsense you need to know to set up a system CORRECTLY, it's nice to hire a professional that will let you get all the performance out of your equipment that you paid for. 3) Reasonable Pricing: We have flat screen install pricing starting at just $149.99. Call us for details as if we are installing a Panasonic 103" plasma TV on your wall, the price will be higher (we have to reframe your wall for this 500 pound monster!). However, we have reasonable pricing options for all sorts of home theater installations. Why have we been San Diego's leader in flat screen and home theater installations for the last 7 years? Give us a call and we'll show you the Aire Theater Designs difference. "The F8500’s unique design is the perfect blend of both aesthetic aspects and functional aspects. Its premium design is created using a single piece of metal. The futuristic design is highlighted by the TV’s dark titan metal color, an ultra-slim frame, naturally curved lines and a unique square-shaped stand, making it appear more like a work of art than a TV. It will be available in 51”, 60” and 64” class screen sizes." 1) Thin cell structure: Plasma TVs provide color by housing the color components (red/green/blue) in individual cells. By reducing the thickness of the cell walls where color is created, less light is absorbed by the cell walls and the colors illuminate more brightly. This allows Samsung's new TVs to have the brightest picture we've seen yet. 2) SUPER SmartTV: They actually don't call it "SUPER SmartTV", but they might as well. Samsung's new quad-core processors allow the web browser and applications in the TV to run quicker and more efficiently than ever before. This equals less waiting time and more fun. 3) Clone View: You can now zap whatever is on the TV to your Samsung-compatible tablet or phone. This will allow you to go anywhere in the house without leaving the entertainment of the TV behind. Interested? The new 51F8500, 60F8500 and 64F8500 plasma televisions are now trickling in. Reserve yours today at Aire Theater Designs, San Diego's home for Samsung TVs and home theater products.